Who needs an Elevator Pitch? At some point in almost everyones lives, we’ve needed an Elevator Pitch. It’s that short concise message that you can share with someone that tells them in 30-60 seconds exactly what we do (usually professionally). Typically small business owners do a lot of networking as it the most cost effective way to “get out there” and tell folks they exist. So going through the steps to create one is usually quite important for them. 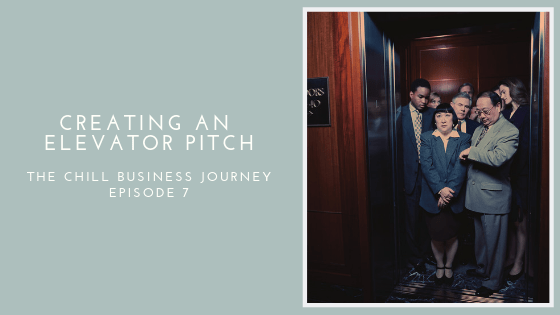 We talk about all the steps you need to go through to create your Elevator Pitch. We modeled this episode after a recent workshop we held. And because we used the content from the workshop, you get an added bonus! We start with setting your intentions for the EP. Then we walk you through a brain dump to get all the potential messaging out of your head and onto paper. Next we share how to organize this brain dump you just went through. We follow that up with working on each of the parts of your pitch. Then we wrap it up by pulling all your statements together. We even polish it off with some tips to help you keep on perfecting your EP. At the bottom of this page, we have included the workbook for this material that will help you go through each step we talk about in the podcast. How cool is that? Be sure to grab your FREE workbook to use while you listen to the episode. It lays out all the information/steps you need to work through to craft your EP. And if you are in the Boulder, CO area, be sure to check out our in-person workshops we talked about in this episode.